"Last week I did a quick survey of how the Internet and web publishing can completely change the way students write - the Internet gives students a real audience for their writing, it expands the content of their writing (images! ), allowing them to link and be-linked-to, while promoting continual revision throughout the semester. Does Blackboard, a web-based course management system, take advantage of any of these features? It does not. " "Blogs as Course Management Systems: Is their biggest advantage also their achille's heel"
"Weblogs, as many people know them, are not going to be subsitutes for course management systems." " writing researcher Matt Barton has been integrating technology into his courses for a while, doing some great work with using both wikis and phpBB in his teaching. If I weren't so busy using weblogs, I'd be following in his footsteps investigating their pedagogical value, too :)"
"To me, the process of blogging is, most of the time, an ongoing series of steps: 1. Find and read material that is relevant to your life. 2. Capture the essence of this relevant reading, give credit to its source, and synthesize those ideas into a piece of writing that advances a personal, perhaps greater understanding of that topic 3. Publish that writing for response and for perhaps pushing someone else's thinking on the subject. " Interesting to see that almost all of the linked blogs are by teachers in Asia...There really aren't many blogger-teachers working in Europe, are there? "Weblogs can be more than just personal journals. While we can say that weblogs turn people into webpages, we do not need to limit weblogs to personal journals. " "It seems to me that the multiplier effect that occurs in weblogging is at the center of what learning and scholarship are really about. Being able to share thoughts, share readings, share online resources, and then get the boost that comes from one person multiplying what is shared into a network of unpredictable connections and responses is just what every teacher wants students to learn about learning, i.e., that it's exciting to learn and exciting to share what is learned. " "Weblogs. The unedited voice of a person! Will easy and inexpensive publishing technology change the face of politics, business, journalism, the law, medicine, engineering and education? Is a revolution underway, or are weblogs just the latest Internet craze? 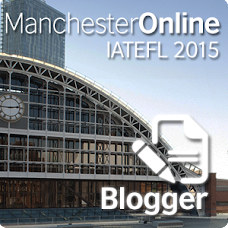 ...Educators are using blogs to help students express themselves and learn from each other. " "What kind of person might like to run a Wiki Weblog instead of a straight WebLog?An individual who wants to write about ideas, relate them to each other, and refine them. Someone who's been intrigued by the idea of Hyper Text might be interested. Someone who's thought, 'This weblogging stuff looks interesting, but you're always just throwing away your notes as they slide out of view' might be interested." Blog Vs Forum: "Of course there are, and will continue to be, vibrant and successful newsgroups and discussion forums. But I'm convinced that destination sites and centralized message stores are not the future of online community. Blogs are. They solve a bunch of problems. They also create a few new ones, but these feel like really good problems to tackle." shellen.com ::: updated once every 10 days whether it's needed or not: "BlogThis! for the Google Deskbar and a few more searches"
"Wondering who is reading your blog? Well, if you are a student, you might think twice about pouring your thoughts and feelings about school, teachers and fellow students into the virtual world." Thanks again to those of you who took part in the course and allowed me to research your activities and make the results available to those who might benefit. Comments are welcome." 2) How difficult was it to understand and use? 3) Did you read what the others wrote? 5) Would you recommend using a Blog next year? Which assignment(s) did you think were the most interesting? "Here are some lists of weblog sites based on popular weblog software - there are a lot of weblogs out there"
6) Which assignment(s) did you think were the most interesting? Here you have my answeres. and I liked the assigment where you needed to talk to diffrent people. Because that is actually an exchange of culture. And I also liked that you put information about what happening in Barcelona on it.... ann in the beginning I was looking at the website every time I was on the internett, but then people stopped writing and it was not that interesting anymore. Note: As this student says, a weblog that isn't updated regularly won't be read - it's vital for this kind of project that the blog is updated frequently and serves as a lively noticeboard for the course. Comments: > To write about peoples opinions you got a lot of the same answers and if you compare your culture to the Catalan culture also. There are a lot of dutch people so in general the answers are equal. If you write about a place everybody mentions something else and that is interesting to read. > It was very nice to use the blogger, but it but be a bit easier to put the assignments together in a apart part at the block because now it looks a bit chaotic and it's a bit difficult to find something and if it's possible an apart block for the answers to the assignments. If you are searching for an answer to one assignment you have to read most of the things. That makes it slow to work and also a bit chaotic. 4) Did you write becauseyou wanted to? or because you you had to (ie. Only for the assignments)? 6) Which assignment was most interesting? 2) People's opinions: interesting for yourself, cause normally i wouldn´t ask this to someone, though it´s really interesting! I have been using a blog with a group of 28 ERASMUS students who take an introductory course in Catalan Culture to help them get the most out of their stay in Barcelona. It's now coming to an end, and I have asked them to report back to me, to tell me what they thought about using a blog as part of the course. Apart from asking them to share thoughts and information with each other on the blog about anything they felt like, I also posted occasional information about what was happening in the city, using the blog as an online noticeboard, and to tell the students of links to websites that might be interesting for them. Although I didn't use this facility as much as I could have done, I think it was useful. I also made the weblog the evaluation device. Rather than ask them to give me papers, I asked them to respond to four short assignments by publishing their answers on the weblog. Hi ______________ ! Now that we are coming to the end of the course, I would like to know how you feel about this new tool we have been using. I would be very happy if you would send me the answers to these questions. This is important for me because it’s the first time I have used a weblog in this course and I want to know if it’s worth repeating with next year’s group. "Blog stands for Web-log, an informal personal Website. Thousands of people blog every day. (Blog is both a noun and a verb.) I’ve blogged for 18 months, and I’m convinced that blogs are destined to become a powerful, dirt-cheap tool for e-learning and knowledge management. " "12 THINGS NO ONE TELLS YOU ABOUT HAVING A WEBLOG"
I've posted this one before too, but it's a good example of a reflective blog kept up by a teacher. Hasta la vista Flooble chatterbox! I have ditched the flooble chatterbox because it's never been working. I don't know whether it's not compatible with blogger or if putting it at the bottom of the page wasn't a good idea, or...? Anyway, I have been testing out another chat box on my other weblog and at least that works, even if nobody has used it yet. "Web publication gives students a real audience to write to and, when optimized, a collaborative environment where they can give and receive feedback, mirroring the way professional writers use a workshop environment to hone their craft. ...Students will write when they have something to say, when they have an audience, and when they get feedback." "I felt that a teacher-student blog had the interactivity, type of content and Web presence that I'd been looking for, so I decided to give it a try. It's been mostly a result of instinct and some luck in the choice of layout, I think, because it has certainly appealed to the students from the beginning. In spite of one or two frustrating moments along the way, it has been a very stimulating and challenging experience that I hope to keep up next year with the same students." A. GENERAL: Her blog is a class blog. The idea is that students can participate out-of-class, with the idea of extra reading and writing practice in a fun way that is very personal to them and allows them freedom to express whatever they are interested in. Teresa alos posts extra activities for the students who are interested in them. This way, she can guide them to web sites, etc that are appropriate in content and level. B. APPEARANCE: White background with animated GIFs and kid's drawing at the top. It's a good choice for a YL weblog as it's fun and non-threatening in appearance. My only criticism is that the blog is too wide - it's not possible to read everything without scrolling right and left, which is a little uncomfortable. 2. What is Let's Blog? Answer: a)It is a two-way communication tool: from me to you and from you to me. b) It is our way of talking in English outside of class. c) It is a fun way for you to practice English away from school. I now think that it is important to give a definition of a weblog at the beginning of a site for students. At the beginning, I found introducing students to the concept was very difficult, and even after they had seen a few weblogs and started their own, I had one student ask What is a Blog? after two blogging sessions! I like the idea of defining the weblog as a an online diary, as a diary is an easy concept to get to grips with. D: INTRODUCTION You will see that Teresa lays down some ground rules for messages: She wants the students to begin courteously and always include their name and class. The students do not directly enter text into the blog, but e-mail her and then she adds their contributions later. This is good in the sense that Teresa retains control over the publication, and can edit or exclude entries which are confusing or do not match her ground rules. With older YLs it is feasible to conceive a weblog getting out of hand, with some students writing comments which are offensive to others (I had experience of this during my summer 2003 weblog experiment: refer to the first entries in this blog for more details). By keeping strong editorial control, she certainly avoids this happening. The downside to this is that a certain level of spontaneity is lost as students cannot experience the thrill of posting directly to a weblog and then seeing their comments there on the Web for all the world to see. 1) Educational sites such as an online dictionary and help on pronunciation and grammar. There is so much content out there on the Web that students (and their parents if appropriate) really need guidance, and this is a perfect way of guiding students to the pages that are appropriate to their level and interests. 2) Student work: By including students' work here, Teresa provides a real reason for producing writing work (for publication), and other classes, and parents can also read what they have done. 3. Homework: It seems like Teresa uses this last link to remind students of homework assignments - another good idea. F. CONTENT: It is easy to see that students have written to Teresa about all manner of different things that are of interest to them. Teresa has said that some students have not written as much as she would have liked them to, but my guess is that even if students haven't written, then they have benefitted from reading what others have. One important thing to notice here, I think, is the importance of feedback in process writing approaches (Sorry, I couldn't resist the plug! ), and this is a great example of responding to what students have written. Look at the care and attention with which she has replied to every student's entry. I am sure that her students are far more receptive to writing in class than the average group. audioBLOGGER: Listen to this: "audioBLOGGER is a service that provides bloggers with the ability to post audio to their blogs from any phone. ". This is worth looking into. Chuck@China: "Weblogs do serve another more important purpose - and that is to filter vast quantities of information about a particular subject through a weblog so that people with similar interests can read, consider and comment about the subject." Courses using Weblogs: examples of weblogs used in teaching, as opposed to weblogs about education. eatonweb portal :: the original weblog directory: "The journal of an American college student living and teaching English in Northeastern China"
TEFL Smiler: "This is the weblog of a teacher of English as a Foreign Language who's been accused of smiling too much. " Caution: contents may settle during shipping. Lost in transit : is a group weblog by expatriates and emigrants around the world writing about their experiences.